Hudson Shootings: Triggered by Gift? 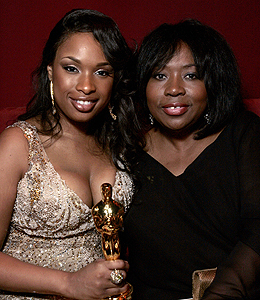 The mother, brother, and nephew of Jennifer Hudson were tragically shot and killed in October -- but were the slayings triggered by a gift? According to People magazine, that is what the prosecutors of the Hudson case are alleging. The "Dream Girl" star's sister Julia celebrated her 31st birthday with a party on October 23 at her Chicago home. The prosecutors claim that the next morning, Julia's estranged husband William Balfour spotted a present he believed to be from another man, and killed Darnell Donerson, 57, Jason Hudson, 29, and Julian King, 7, in a jealous rage. An attorney for Balfour says that his client's volatile relationship with Julia makes him an easy target for the slayings. "We are extremely confident that once all of the evidence has come to light and has been tested by our vigorous analysis of the case, that William will be found not guilty," said Joshua Kutnick. William Balfour is currently in custody, being held without bail.